LOS ANGELES– When E.J. Singler hit a three-pointer with 2:55 to play to give No. 21 Oregon a 75-65 lead over USC last night, it looked like a sixth straight win for the Ducks was safely tucked away and the team could finally begin contemplating Saturday’s tantalizing Top-25 matchup against league-leading UCLA. But an energized Trojan squad, playing its first game after the sacking of head coach Kevin O’Neill just three days earlier, roared back against some mild Oregon defense and shaky offensive execution to outscore the Ducks 9-0 down the stretch and trail only 75-74, with 33.1 seconds remaining. 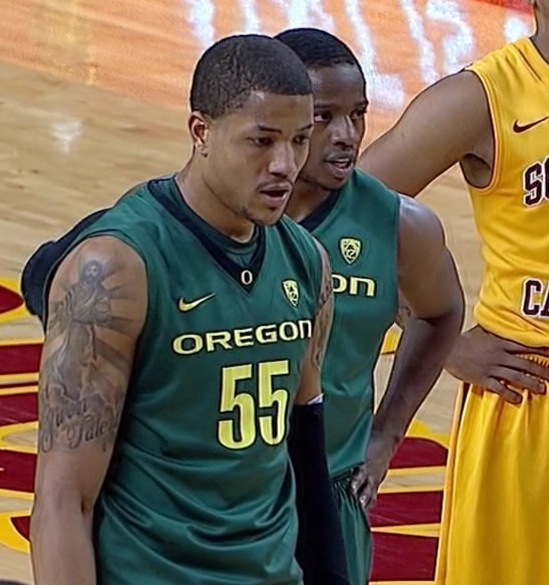 After a USC time out, the Trojans applied intense full court man pressure, but the Ducks were ready for it. A designed inbounds play resulted in Jonathan Lloyd hitting a streaking Dominic Artis in stride ahead of the pack, who was then fouled on his attempted layup. Artis hit one of two free throws for a 76-74 Duck lead. The final 22 seconds were as hectic and dramatic as any game all season. USC first missed a good look at a three-point attempt, and then the Trojans had three straight unsuccessful put-backs of offensive rebounds inside the key. Each miss rolled off the rim as the clock ticked down interminably. Oregon’s Arsalan Kazemi finally gained control of USC’s fourth miss of the possession and was immediately thrown to the ground for a foul with 1.9 seconds left. He missed the ensuing free throw attempt, but E.J. 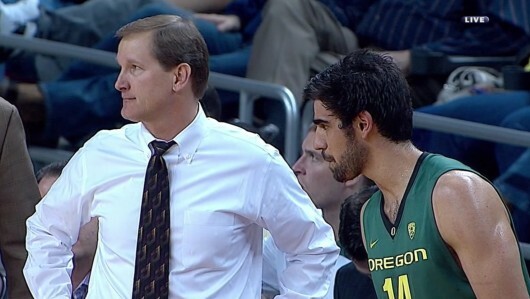 Singler tipped the rebound back to Kazemi and the Ducks and their fans could finally exhale as time expired. The Ducks, now 15-2 overall and 4-0 in the Pac-12, could never shake the Trojans. It was a surprisingly hard-fought win over a loose, energetic group who scored a season-high 74 points in the loss. USC interim coach Bob Cantu seemed to immediately loosen the reins on his squad, and they played much more freely than they did under the more structured O’Neill. Cantu also used more players in an attempt to play at the faster pace, and utilized a zone defense on occasion, something that was rarely used by O’Neill. USC fell to 7-11 overall and 2-3 in the Pac-12 with the loss. 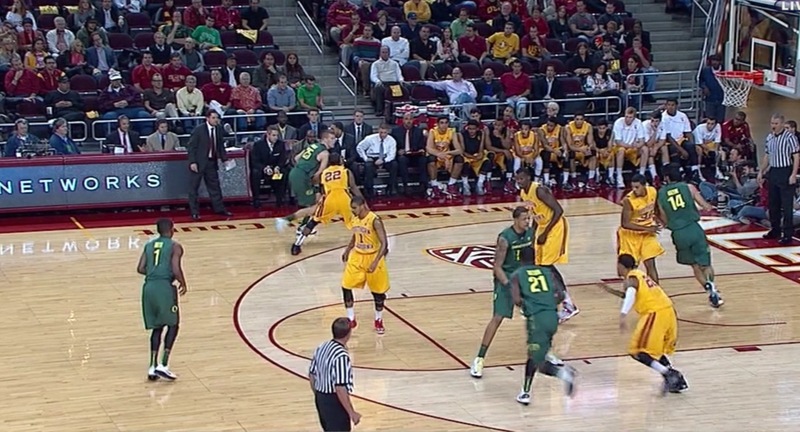 For the Ducks, it was more of the same balanced offensive attack that has become commonplace. Five players were in double figures, with Damyean Dotson leading the way with 16 points. Singler added 14, and Tony Woods, Carlos Emory, and Artis contributed 10 points apiece. Oregon led most of the first half and took a 35-31 lead into intermission, but a lack of crisp ball movement and the tendency on many possessions to shoot the ball too quickly, made the small Oregon lead seem tenuous. Singler took charge of the Oregon attack in the second half as the senior became much more aggressive offensively. His hustle and determination kept loose balls alive and if he wasn’t shooting himself, he was generally involved in setting up teammates for shots. Singler finished with seven assists, and 12 of his 14 points came in the final period. The Trojans shot 45% from the field for the contest, compared to 43% for Oregon. USC was led by J.T. Terrell, who had a game-high 22 points. Eric Wise added 17, and Byron Wesley, 11. Oregon, as it has in nearly all previous games, won the rebounding battle. The Ducks were led once again by Kazemi, who snared 11. Kazemi is currently third in the Pac-12 rebounding category. With the exception of the crazy final seconds, the Ducks dominated a physical game on the boards, 41-30. Singler grabbed six rebounds and Waverly Austin came off the bench to pull down five. “I do have to say,” Altman added, “I thought we fought our tails off on the boards and that allowed us to get the win.” The victory was Oregon’s sixth straight over the Trojans. Perhaps more significantly, the Ducks have opened 4-0 in conference play for the first time since the 1973-74 season (when Ernie Kent was playing in a Duck uniform). By taking care of business last night, the Ducks helped set the table for a nationally televised game Saturday afternoon on CBS against No. 24 UCLA at newly-refurbished Pauley Pavilion. UCLA (15-3, 5-0), won its 10th straight game last night against Oregon State, 74-64. The Bruins lead the Ducks and Washington by a half game in conference play. The Ducks learned that along with the attention and acclaim that the national rankings bring, they also bring out the best in opponents. 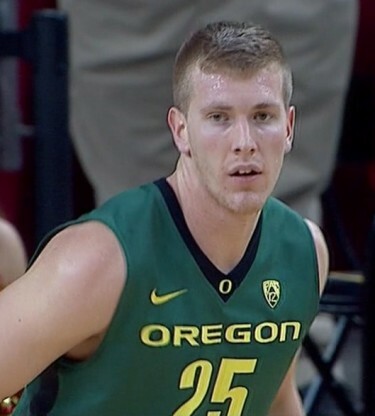 Oregon dodged the proverbial bullet against USC. But more important than any national rankings for this team at the moment, are the Pac-12 standings. Despite another less-than-stellar effort last night, the Ducks picked up another conference win on the road. And they still have a goose egg in the loss column.